A brand new flying season is finally upon us with all the enjoyment and pleasures it will provide to the users of our airspace. With this enjoyment also comes the duty for responsible use of that airspace when we do get up there. This specifically refers to the need to inform ourselves of NOTAMs that will affect our flights. Along with this same great flying season, we also have airshows and a host of other activities, airborne or otherwise that lead to the publication of NOTAMs. These NOTAMs typically impose restrictions, most for a very limited duration, on some parts of the airspace we all use and these restrictions are enforceable by law. Article 5.1 of the Aeronautics Act authorizes the publication of such prohibitions or restrictions, by the Minister, in any area of airspace when deemed necessary in the interest of flight safety or the security or protection of the public. A perfect example of this would be a NOTAM issued recently covering some airspace north of Toronto in relation to an airshow staged at CFB Borden. 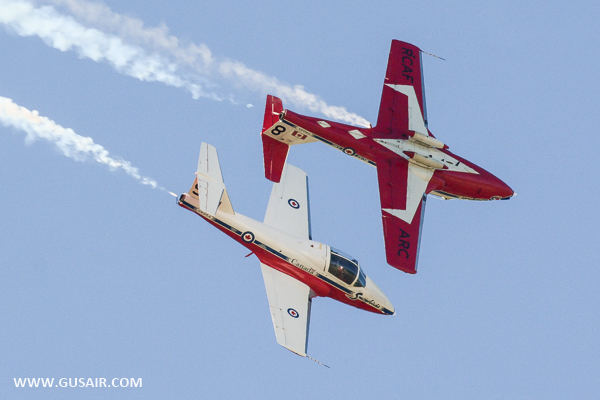 The performers included the Snowbirds and an F-18. Despite the NOTAM having been published well in advance of the event, sixteen (16) incursions occurred in this airspace, inducing delays and/or interruptions to both the Snowbirds and the F-18 performances. We must understand the perspective that even a small seven-minute delay to an F-18, once airborne, results in a lot of unnecessary fuel burn and could have serious implications by the end of the routine. When taking-off for an airshow routine, this fighter aircraft only carries sufficient fuel for the mission and return: it will not land in Borden to take on fuel for the return flight. The perspective for the Snowbirds is very similar: the Tutor consumes less fuel than the F-18 but there are nine aircraft up there. Add the risk of a mid-air collision to this perspective: these performers concentrate on their airshow routine, not on looking out for small aircraft intruding in their restricted, protected airspace. Consider that a single aircraft was accountable for several incursions on that occasion. I wonder what the total invoice will be.